Buying a static caravan has become an increasingly popular option in the UK and can act as a ‘home from home’ or operate as part of a business. They can also serve as an extra source of income by renting when not in use; therefore paying for itself in the long run. 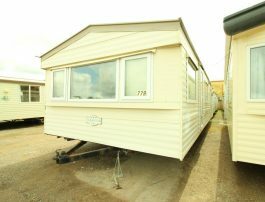 If you are new to statics, or are shopping to upgrade, we have an incredible stock of double glazed, used static caravans that offer excellent features and maximum value for money. There are many benefits to double glazing – you can keep warm for less and also block out noise pollution. With siting services within 100 miles of Horsham, browse our range and book yourself a viewing at our park in Parsonage Industrial Estate. Why choose a static caravan with double glazing? Double glazing ensures your caravan will remain the perfect temperature year round, securing that needed heat in your caravan during the winter and keeping it cool in the summer months. Did you know that 50 -70% of a caravan’s heat can be lost through single glazed windows? 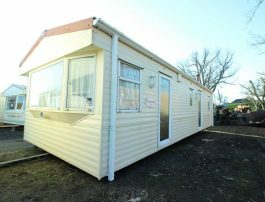 To avoid this, purchase a static caravan with double glazing already installed. This will save you money on bills as they provide adequate insulation to ensure you don’t lose as much heat energy through the windows. Think what you’ll be able to do with the extra funds saved from cheaper power bills. You can put this back into the maintenance of your static, or invest in extras like new outdoor furniture. If you’ve ever been sat by a window on a scorching summer day with the sun rays burning your back, they were probably single glazed windows. So how do double-glazed windows minimise the heat in static caravans? In hotter temperatures the sun’s rays get trapped inside the window and therefore diminish the heat so you’re not uncomfortable inside. 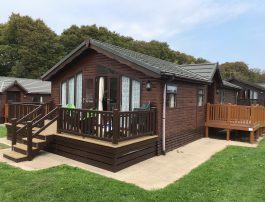 Popular static caravan sites can tend to get noisy, especially in the summer months where children play outside and families have BBQs. With double glazed windows, you benefit from a noise reduction of about 60%, allowing for a more relaxed atmosphere in which to unwind. Security is an important consideration whether you’re buying or renting a used static. A simple way to add security to your caravan is via additional locks. All of the double glazed windows and doors installed in our stock come with secure locks. They can even be locked when they’re ajar, allowing for fresh air without compromising on safety and security. Do you save money with a double glazed unit? Fortunately, yes. You will you pay more for the cost of the unit, but you save money long term on your energy bills when you choose double glazing, whether you live in it, holiday in it or rent it out. Lowering ongoing energy costs can become a weight off your shoulders, especially as costs vary from month to month and peak during the UK winter. What types of double glazing are available? 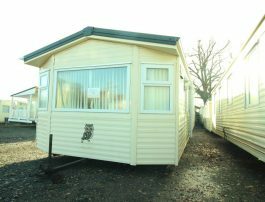 Our static caravans come with different types of double glazing frames, including uPVC and steel frames. The different units can be associated with different costs and benefits. The uPVC frames are easier to maintain and tend to look sleek, however are more susceptible to warping under strong sunlight. On the other hand, steel frames can stand any level of heat without being affected but are typically more expensive. 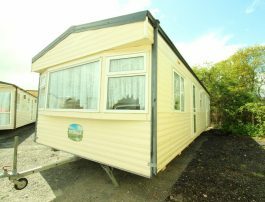 If you are only planning to use your static caravan for holidays in the summer, it may be unnecessary to pay more for the very highest level of energy efficiency (an A rating). Whereas, if you are planning on renting out your caravan, it may be more appropriate to ensure maximum comfort of guests; paying more for the A rating. Here at N. Doe Caravans, we’d love to hear from you! With over 40 years’ experience we will be able to give you the best advice. Call today on 01403 274 877 to see how we can help based on your specific requirements, or email us.